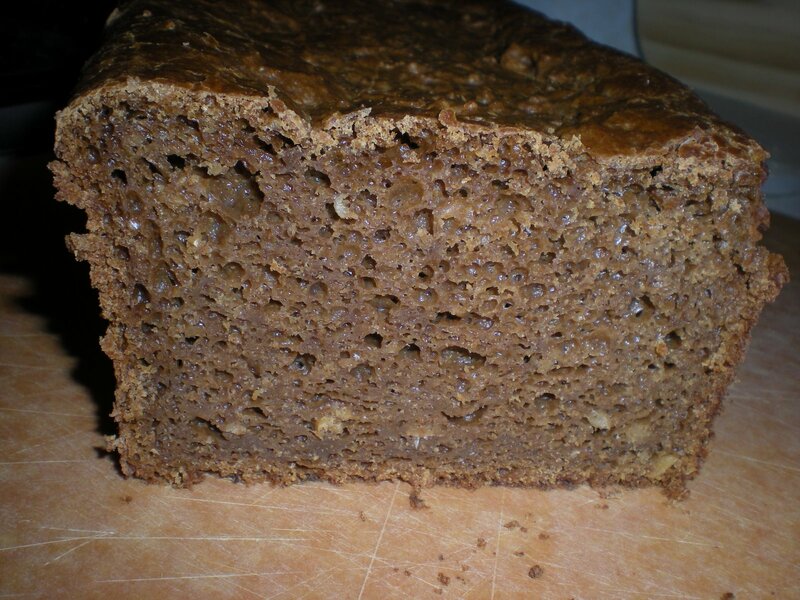 So, last time I tried to make rye bread, it was ok, but I still wanted something a little darker and more “old country”. 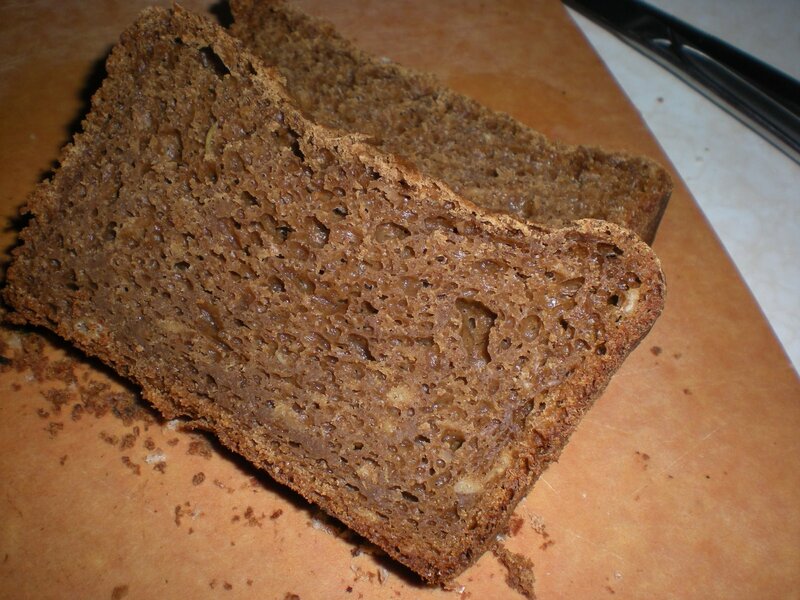 I found a recipe online called “scandanavian rye” at http://www.christonium.com/culinaryreview/ItemID=12267169605528, which looked like what I wanted. I had refreshed my starter earlier in the day, so I used my 75% hydration starter in place of the commercial yeast the recipe calls for. 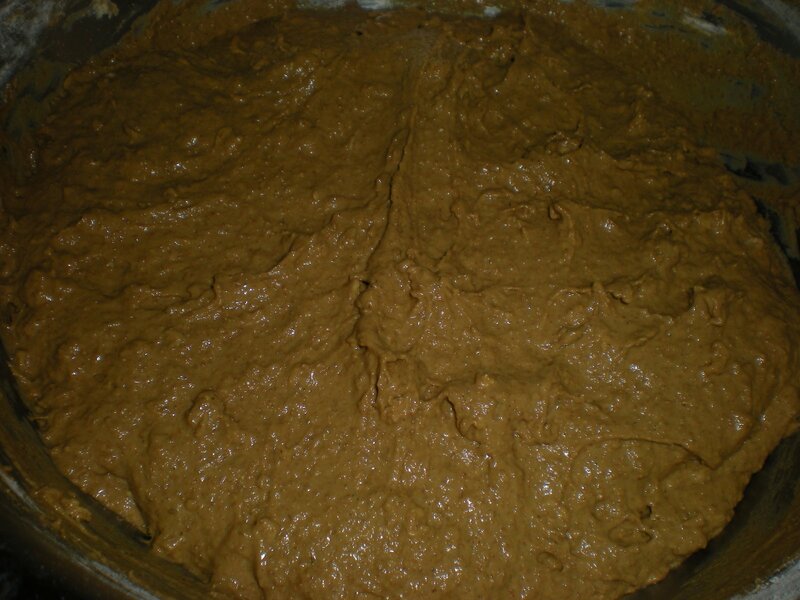 My modifications include adding coffee and cocoa powder, substituting the dark corn syrup with molasses, and using 6-grain mix instead of just oatmeal. I also left out the recipe’s sunflower seeds and fennel, since I don’t really like those very much. 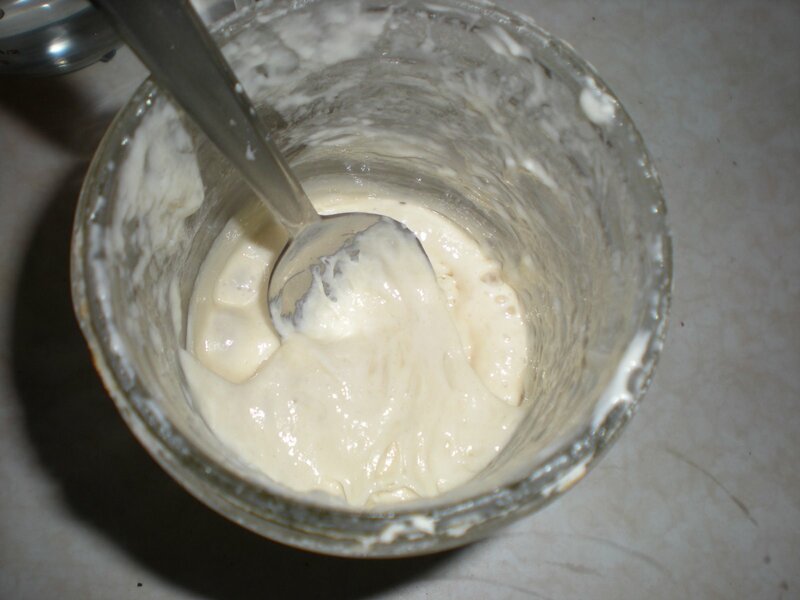 Stir yeast, salt, yogurt and water together. 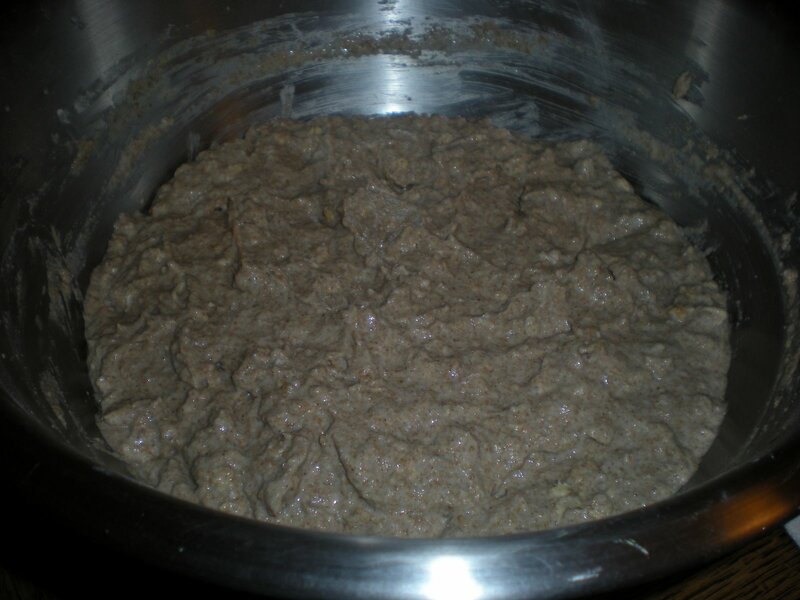 Add the oats and lastly the rye flour. Stir until everything is well combined. Cover the bowl with plastic wrap and allow to sit for 24 hours. The dough should be very watery. 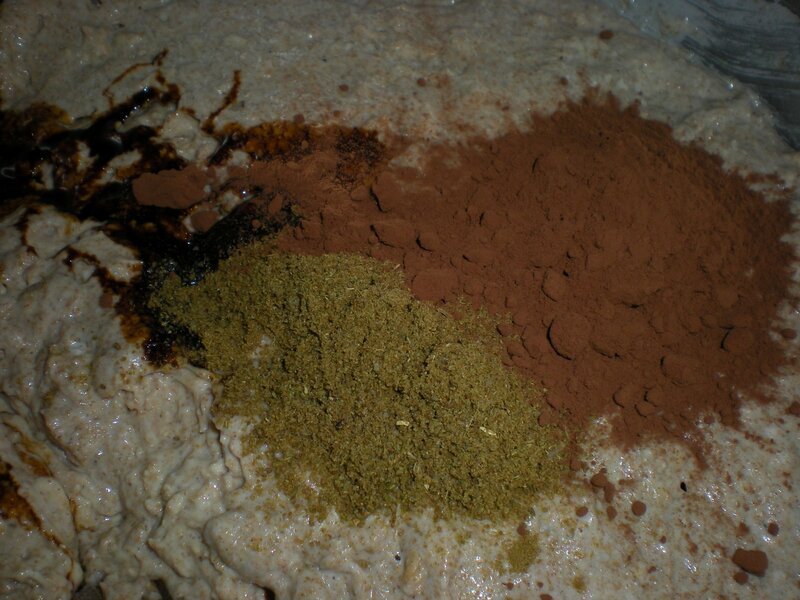 Next day, grind up the cumin and mix the spices with the flour. Add molasses, cocoa, coffee, and melted butter into the bowl from yesterday. Stir well, then lastly add the flour mixture. 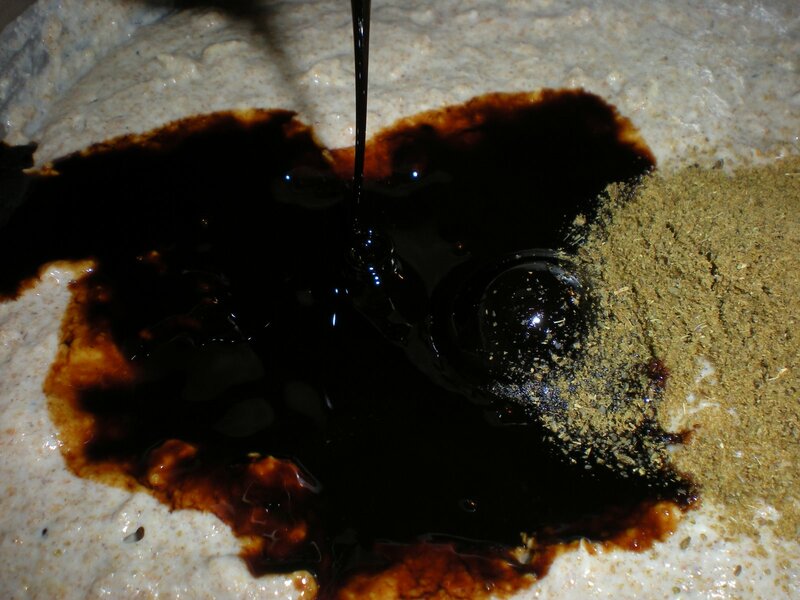 With a wooden spoon, work the dough together well and make sure there are no flour pockets. The dough will still be really watery. Pour/scoup the sticky dough into two oiled loaf pans. Cover with oiled plastic wrap and allow to rise for 1.5 – 2 hours. Bake the loaves in a 350 degree oven for about 45- 55 minutes. My loaves puffed up a little and then sank back down after I took them out. I had to wait until the loaves were completely cool before taking them out of the bread pans. Preferably let the bread sit for a day or two (in a plastic bag) before cutting into. They need a chance to dry out a little. The taste was… well it took me a little while to get used to it. It was very dense, just as I wanted it. 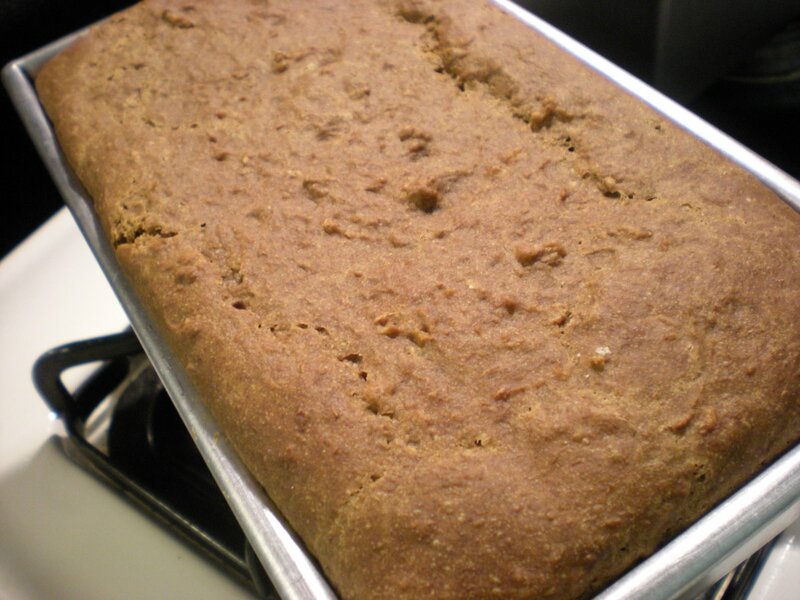 Rye flour doesn’t have the natural sweetness of wheat flour. The sourness was only enhanced by the yogurt, cumin and cocoa. I love the darkness of the loaf too! Because it made two loaves, I used half of one to make into a bread pudding with mushrooms, and I’ll probably freeze the second one. In all, I’d say it was pretty successful! Mr. Bread Maiden liked it (and the bread pudding). Your bread really looks magnificent! I’m looking forward to making seeded breads, but time just hasn’t yet been available. 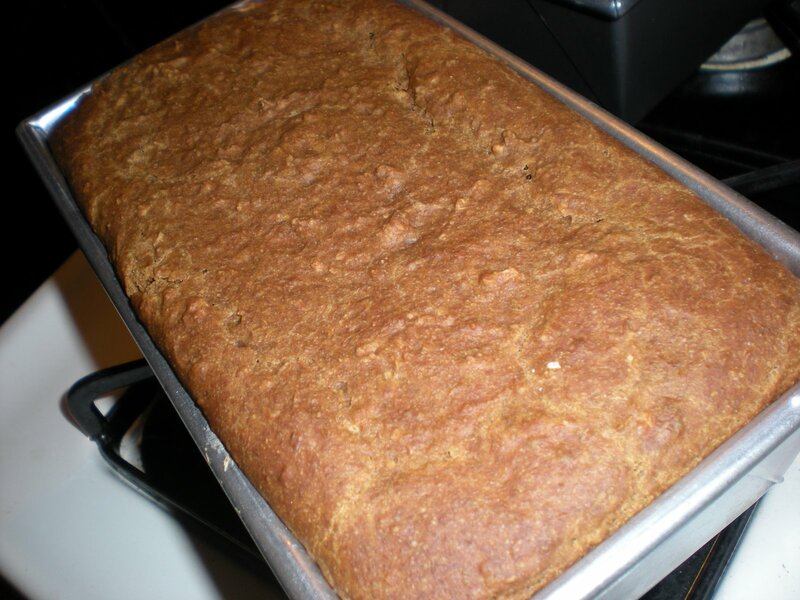 Your seeded and/or grainy breads look simply fantastic and whet my interest/appetite!